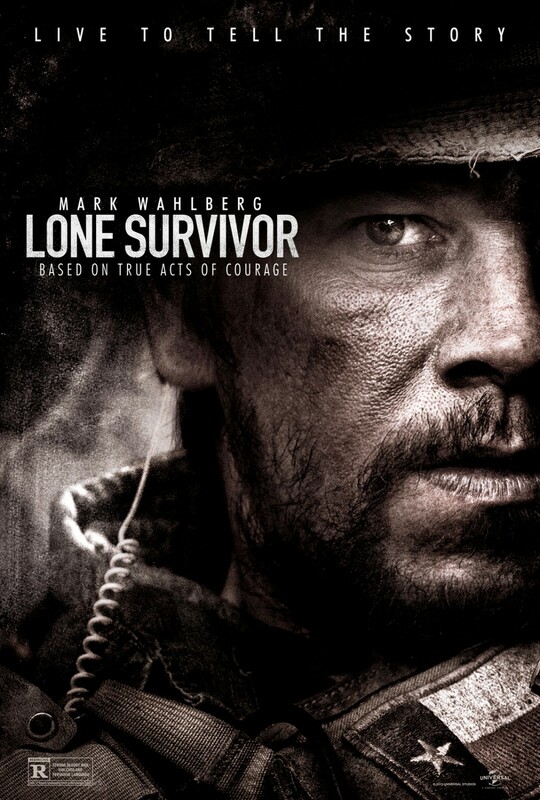 Marky Mark bosses it with the Fuzzy Bunch in this mixed bag of a military drama. Marcus Luttrell (Mark Wahlberg) and his team set out on a mission to capture or kill notorious Taliban leader Ahmad Shah in late June 2005. However, they are soon left to fight for their lives in one of the most valiant efforts of modern warfare. I was a little hesitant when Peter Berg’s name flashed across the screen. At his best; the highly entertaining TV series Friday Night Lights. At his worst, Battleship. Yikes. However, the film opened with an intense training montage (featuring real archive footage) of SEALS enduring all sorts of intense situations and physical conditions. My attention instantly grabbed. We were thrown straight into the mix with a bloodied Wahlberg being operated on. His voiceover throwing us back to the build up before the cursed operation. Unfortunately with such a poor choice in film title, you have a gist of what’s going to happen, it’s just the how. The pace took a hit as we had 30 minutes of cliched exchanges and muscle bound machismo as the team bonded and “hazed the new guy”. Berg had a great cast at his disposal and the leading SEALS played their parts well. The camp shenanigans should have added extra depth to the characters BUT if anything, it made them quite stocky and one dimensional. The running contest between Hirsch and Kitsch was corny as hell. We even had a wonderful Powerpoint presentation explaining the . . . plot. It was great to see Eric Bana BUT his passive role was a waste of the actor’s talents. Once the SEALS reached the checkpoint surrounding the Taliban compound; things finally livened up. The tension mounted as Hirsch’s Dietz struggled to maintain signal as the team got closer to their target. “That’s not a knife, that’s a f*cking duck!”. Where Berg excelled in suspense and action, he struggled in keeping the tone of the film. The aforementioned line was a perfect example. Berg implored humour in all the wrong places in an attempt to lighten the severity of the situation BUT it just came off hammy. I was laughing for all the wrong reasons. The accidental ambush by Taliban farmers was nail bitingly tense with the SEALs apprehending them to maintain their cover. Berg tackled the moral and ethical dilemma that soldiers face in such dangerous situations. The brewing argument between Axelson (Ben Foster) and Luttrell spoke volumes as they discussed killing or releasing the civilian farmers. I was happy to see Foster given a bigger role. I’ve been impressed with his acting since the (incredibly underrated) TV movie, Bang Bang You’re Dead. The film got better with the action coming thick and fast. The POV sniper shots and slow motion were executed brilliantly. The Taliban, for most of the film, were portrayed as ruthless menaces relentless in their attacks, never giving the SEALS a moment to recover. However, although exhilarating, it soon dragged on with one sequence, involving the team rolling down a cliff to evade capture, coming off unintentionally comical. I lost count of how many times the SEALS were shot, crushed and battered. And the death toll on the Taliban was bordering Rambo 3 territory. Oh and the roll, my goodness, it was like Homer’s cliff falling scene in The Simpsons. There were actually a few titters in the audience. Thankfully an unexpected explosive moment brought a passive Wahlberg to the forefront. The first 90 minutes was the story of the unit. The final 30 minutes was Luttrell’s story as he evaded capture and hid with some Afghan farmers who were just as anti-Taliban as the SEALS. Shah and Tarik, the lead terrorists, were incredibly passive and weak. They really were one dimensional, if not for a discouraging decapitation scene. The real depth was provided by Ali Suliman as Gulab, the sympathetic farmer who did everything to save Marcus at the risk of his and his son’s (Nicholas Patel) lives. As the film came to its explosive finale, the closing minutes packed a sobering punch with a fitting tribute to the men that lost their lives in that unfortunate operation. Berg highlighted the bureaucracy of the US military and the poor organisation in which the unit were left stranded for so long with poor technical equipment. Luttrell’s heartfelt gratitude to Gulab really hit home. Unfortunately, Berg had too many faces flying about, that I had to remember who was who, when they showed real footage of the people they had portrayed. It was great to see Marcus and Gulab’s reunion. All in all, a mixed bag. The tone of the film, like the ambush, was all over the place but what can be commended was what these men went through. An engaging affair that could have been cut by a good half hour and been better for it. Great acting and good action set pieces save a muddled biopic riddled with unintentional jokes and mixed messages.